Separated by only 50 miles, Grand Rapids and Kalamazoo are mid-sized college cities in western Michigan known for their philanthropic investment in community economic development. Metro Grand Rapids has about three times the population of metro Kalamazoo (about 1 million versus 350,000), but both have been adept at leveraging philanthropic investment to rebuild their communities. 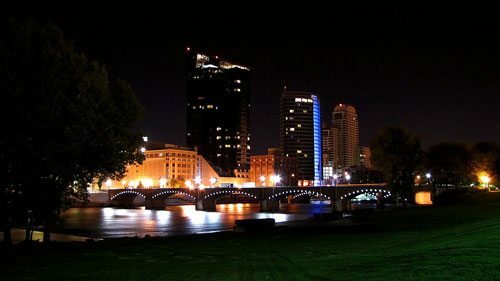 In terms of community economic development, Grand Rapids is highly respected for its Local First initiative and its support for women-led business development. Kalamazoo’s most publicized philanthropic effort is its Kalamazoo Promise program, which covers, for qualifying graduates from the public schools, up to four years of tuition (in state) and mandatory fees for post-secondary education. Launched in 2005, in the first decade the program raised $66 million to support student tuition, helping increase the percentage of public school students obtaining a bachelor’s degree within six years of high school graduation from 30 to 40 percent. Yet despite these similarities, the cities have very different philanthropic cultures, as a 2017 study from Grand Valley State University’s Dorothy A. Johnson Center for Philanthropy explains. It would appear that in philanthropy—as in community organizing, or in sales, as The Music Man makes clear—you gotta know the territory. So, what are the Grand Rapids and Kalamazoo paths? And do they hold any lessons for the rest of us who live in neither of those Michigan cities? Interviewees in the study noted that major givers in Kalamazoo are networked through informal connections—many are related or grew up as family friends. This is in contrast to Grand Rapids, where deep-pocketed donors have more formal networks, attend more fundraising events, and engage more publicly in charity organizations, political groups and clubs. For example, a single donor, Jon Stryker, has donated a total of $336.3 million since 2000, with at least $168 million going to a single agency, the Arcus Foundation. This year, two donors gave $70.3 million as “lead donations” for a $500 million fundraising campaign for the Kalamazoo Foundation for Excellence, which aims to support the city government’s ability to provide better public services for city residents. Clearly, not every mid-sized community of 300,000 has available donors with this kind of wealth to invest. The Grand Valley State study authors do not make a claim for either an informal or a formal approach being better—each has plusses and minuses. The informality of Kalamazoo giving may lead to more “transformational” projects (such as the Kalamazoo Promise or the current Foundation for Excellence capital campaign), while the more formal giving structure of Grand Rapids might be more inviting for newcomers, for instance.